How do I change the “Selected Items” color? I am using 12.04. I found a video where the primary colour of the Unity interface is light blue rather than orange (the buttons, the icons, and the Dash icon). How can you change all orange colours? What you're experiencing is a known bug (Lauchpad, Adobe). Because of it you're seeing some Youtube videos with blue tint. 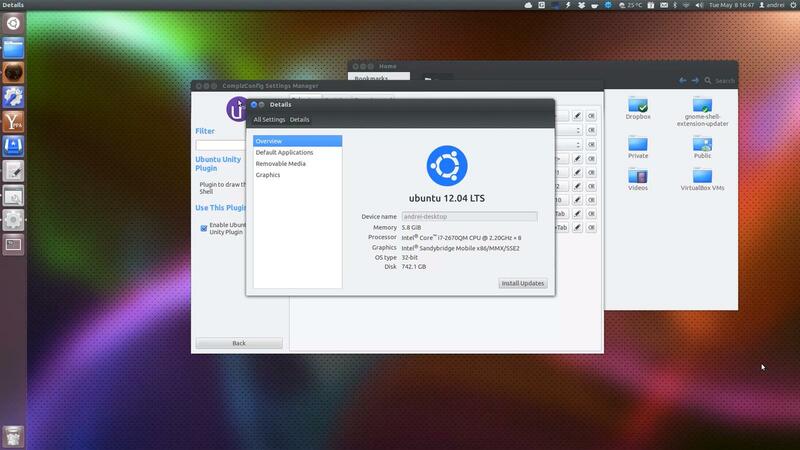 After this, use either Ubuntu Tweak or MyUnity or Gnome Tweak to change themes. You'll find in the list of themes - in all of those tools - a number of new ambiance themes, such as ambiance-blue, ambiance-red, etc. Make sure to change the theme both under "Window Theme" and under "GTK Theme." The colors used by the DASH, panel and launcher background are generated from the wallpaper they cover. To change theme colors there are three files you need to edit. In the beginning of these files you'll find 4 pairs of core foreground and background colors used in applications based on the gtk 2 and gtk 3 libraries. Pair base_color and text_color are used for the document or text entry portions of windows where bg_color and fg_color are are used for the windows area where icons and labels are displayed. Selected pair is for selected text and the tooltip pair is used for the tips that pop up when you hover over a button or link. These colors may be applied by applications with varying opacity or shadings. The color of text in buttons comes from the fg_color. These sets of labels appear in all three files so I've been changing all three to be the same for any label I change. Here's an example of what I changed in the gtk.css file in the Ambiance theme. I believe the ubuntu Tweak tool can help you with that. Not the answer you're looking for? Browse other questions tagged unity themes configuration icons or ask your own question. Change the color orange of Ambiance into another color? How to change folders color?